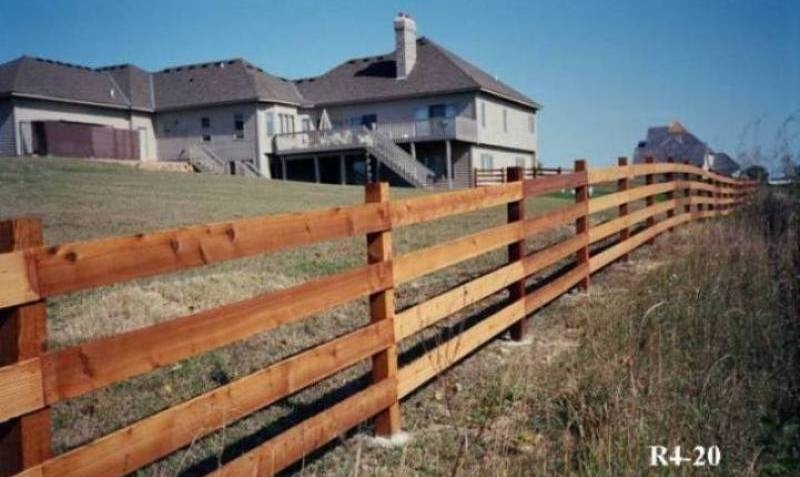 Rail and split rail fences are one of the most cost effective styles for defining boundaries, decorating property, and fencing in livestock and horses. All the rails are slightly different in size giving a great rustic look. The country appearance of a rustic cedar split rail fence can’t be matched becoming more beautiful as they age. 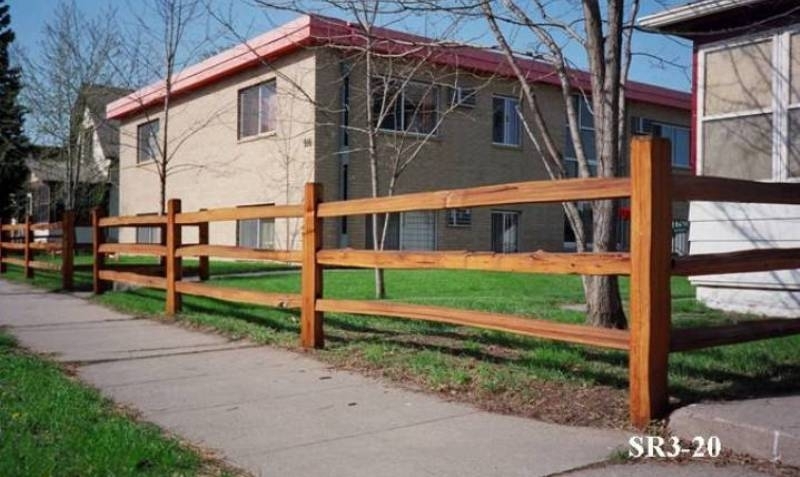 These split rail fences provide many years of service and require minimal maintenance. Split rail fences have rails with tapered ends and the posts have holes where the end of the rail rests, usually held in place by gravity. 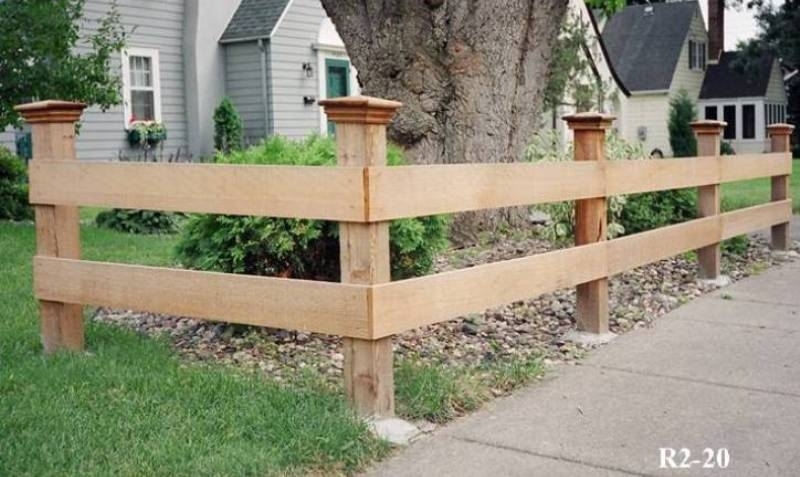 Flat rail fences can be built in a variety of ways and installed with fasteners. Rail and split rail fences are low maintenance and provide a modest but definite border and are perfect for adding curb appeal with the warmth of country charm. These are great fences for containing animals, they won’t hide the beauty of your home while creating borders that love shrubs and other landscaping elements. Rail fences and split rail fences are favorites for setting-off a property corner with some rock and a plant or two. 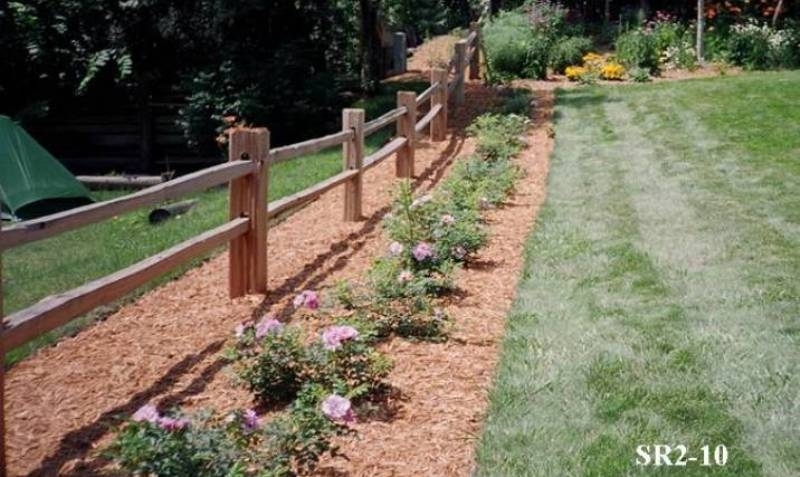 Rail and split rail fencing are beautiful alternatives to the other types of fencing. The looks and style of this fence is an economical solution requiring little care. Aging can improve their visual appeal and add character to any property. 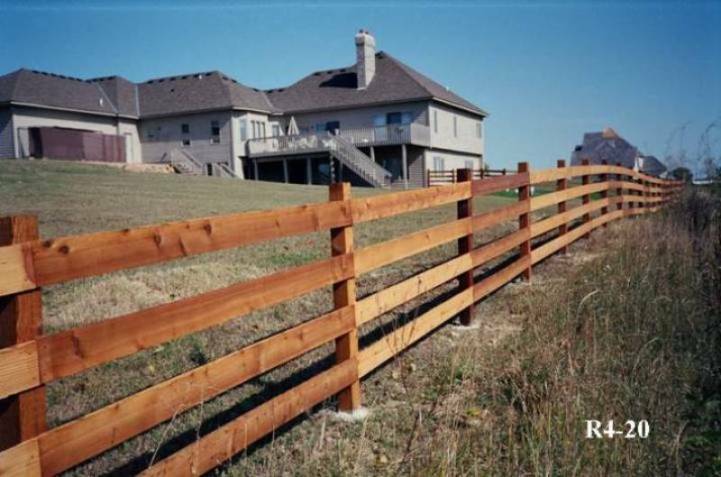 Midwest Fence provides a wide variety of options for rail and split rail fences and posts. Call 651-451-2222 for more information or to receive a free estimate. View examples of rail and split rail fences installed in Twin Cities yards.